Revenge of the Spirit: Rite of Resurrection is another dark mysterious game the events of which take place in a very unpleasant place. But the game still features some bright production features to make it one of the good ones out there. The story begins with your arrest. There weren't any specific reason for that other than you just kind of looked like you should be arrested. You also get to be haunted by a spirit of an old woman. As you run away from the prison you find out more of a story of this town you are in. 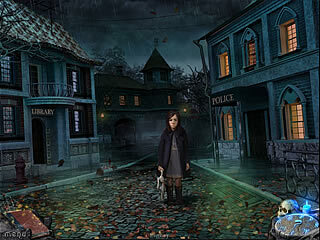 And just like in many other games of the hidden object puzzle adventure genre, you become the only one who can help the town deal with the spirit. And of course, you need to so that in order to get out of the town and not stay there forever. You get new bits of this story while you play one of the three kinds of levels here. 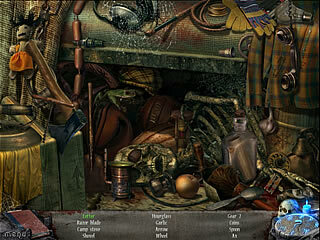 The game makes the genral adventure part very detailed and makes you collect many items and use them as you go. This part is not very difficult as well as the puzzles that you get to play along the way. They are fun to play for a change. The same goes for the hidden object levels. You can get most of the items just by clicking on the items that don't really belong. The audio-visuals of the game are still pretty nice creating this creepy atmosphere to match the story of Revenge of the Spirit: Rite of Resurrection. This is Revenge of the Spirit: Rite of Resurrection review. Download this game here.